When considering fun birthday ideas for a 16-year old, it is important to let her in on the decision making. At this age she feels grown up and is longing to be treated and respected as an adult--but as a teen, she still requires loving guidance. Girls might want a huge "Sweet 16" party, while boys might want to just hang out with friends. A parent can give the 16-year-old a budget and allow him to plan his own night out with friends. This might include renting a limo and cruising the city, or going to an arcade and/or a movie. As an added bonus, give him a later curfew for the night. He could also choose to invite a few friends over to play video games and have pizza. Most teens enjoy music. If she enjoys large gatherings, you can rent a hall and celebrate with a large party with live music or a DJ for dancing. Alternatively, rent a room at a local restaurant and set up a stage for karaoke. Another idea is to purchase top-rate tickets to a concert featuring her favorite band or singer. Fun birthday ideas for a 16-year-old include taking him out to a ball game. To make it extra special, allow him to bring along some friends. Purchase the best tickets you can afford. If planned far enough in advance, you might be able to work out a deal whereby he can meet his favorite player. If your budget won't allow for a professional game, see if there are any minor league or college teams nearby. Another idea is to rent a facility where the teen can play his favorite sport with his friends. Spend a day, or even a few days, visiting her favorite amusement or water park. Alternatively, see if there are any carnivals or fairs nearby that she would enjoy. 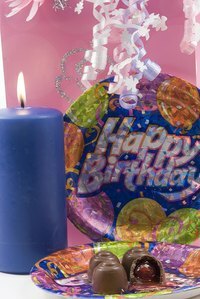 Other fun birthday ideas include spending a day playing laser tag or paint ball. Many girls enjoy being pampered. Arrange a girls' day with mom and a few of her friends. Go to a spa for a mud bath, massage, manicure, pedicure and facial. Next, stop at a beauty parlor to have her hair done. Go to her favorite restaurant for lunch. To top the day off, get some glamor pictures taken. Give him a prepaid credit card--a great way to teach him financial responsibility and make him feel trusted and grown-up.